Thanks for this great review – very informative and lots of useful information – it makes my mouth water. I’ve not been to Hong Kong as yet but maybe planning a trip in the foreseeable future so I’ll look this one up. Thanks also for your other articles which really bring the places you go to life. You’re welcome Gail! We glad you found the review helpful. Haha … yes, that is our hope, to make the food so tempting that readers’ mouths will water. Ours did too! It really is very delicious, the Best Wonton Noodles in Hong Kong. Even the locals love the food here. Do let us know when you are in Hong Kong, and have tried Shek Kee. Drop us a note to tell us if you like it. What a wonderful review about Wonton Noodles you have written.I am Chinese and I like to eat Wonton Noodles.I often ate when I was young and I never forgot this taste.I want to taste Wonton Noodles after reading your review. Thanks a lot to that. Hi Gilbert, thanks for dropping by and letting us know how much you like our review. We too love Wonton Noodles. Hope you will visit this hidden gem in Hong Kong. Do drop us a note when you do. Also, please subscribe to our Best Places in Asia newsletter for updates. Hi Timotheus, you have managed to do the impossible task of making me feel the taste of the food without smelling it. I have yet to visit HK but for sure Shek Kee will be on my ‘To Do’ list. Thanks for the high praise, Deepika! We are truly grateful and blessed. Do drop us a note when you visit HK, and Shek Kee. We would love to hear your feedback on it. The food looks just delicious! This site is a perfect guide when you are visiting Hong Kong! I would definitely look up the site for an advice which restaurants are worth visiting. Today I have some substitute of Wonton Noodles 😀 I’ve just ordered some chow mein! Thanks Gosia! That is the purpose of Asia Travel Gems. To introduce the Best Places to Visit in Asia – for play, for eating, for everything. 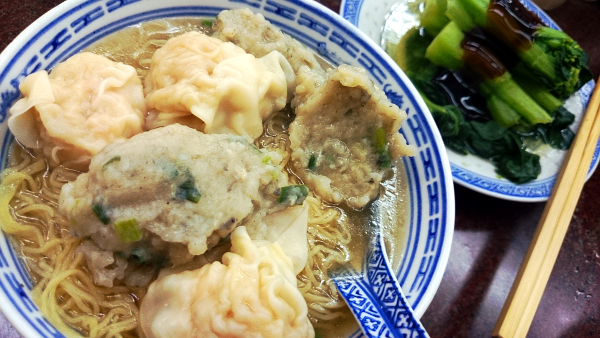 And we introduce some hidden gems like Shek Kee, which we believe is the Best Wonton Noodles in Hong Kong. 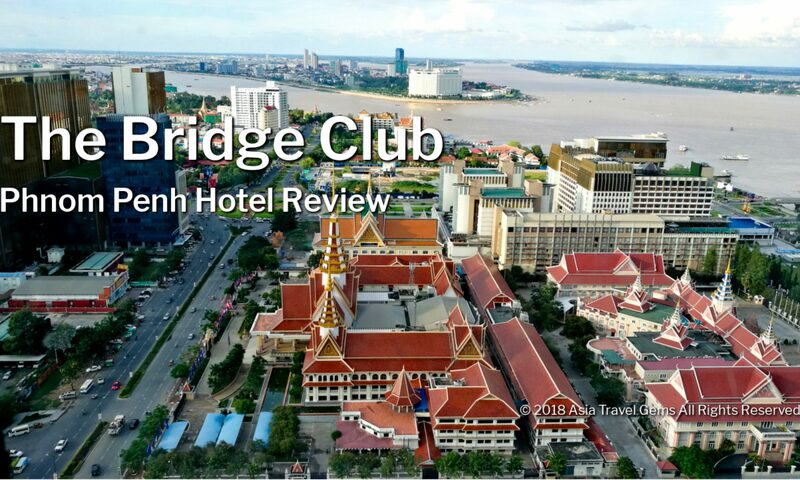 Please do visit our website again when you plan to visit any city in Asia. It will help you find out where to visit, where to eat, where to stay, etc. Thanks for sharing all this great information Thimoteus. I was born in Vietnam so was my mother, so in the family we have always enjoyed Asian cooking. My mother was a great cook for Vietnamese cuisine and passed her recipes on to my wife who has become an excellent cook of various parts of the world, including Asia. Whenever we decide to dine out, we usually select an Asian restaurant and try different dishes each time. Your website is excellent, full of useful information and I look forward to read your future articles. Hi John! Thanks for dropping by, and thank you for the insights into your life and history. You are so lucky to enjoy all the various types of food. We hope you will try Shek Kee when you visit Hong Kong. Do drop us a note when you do, and share with us how you find it? Thanks for your high praise of our website, too. We are happy that you and many others have found the information useful and helpful. This encourages us to do better, and provide higher standards. Please subscribe to our Best Places in Asia newsletter for updates. You had me hungry halfway through the article. I have to find this place and try it myself. Thanks for sharing the good stuff in Hong Kong. I tried Mak’s Noodles and I think it is not bad, but not fantastic. In addition, I think the Mak’s Noodles at Wellington Street is not that good compared to other joints. Most likely, it’s due to the crowd and the kitchen might have rushed the orders especially during peak hours. The one besides Australia Dairy Company is better! Hi Jude! Great! Mission accomplished! haha. We tried Mak’s and others. And to be honest, they were all right. But compared to Shek Kee, they did not meet the mark. Even our friend in Hong Kong goes to this place two to three times a week! That says it all. haha. And we agree with you. Mak’s not fantastic. A bit overrated. Also, their branches differ in tastes and standards. Whatever the reasons, we believe that cafes and restaurants should maintain standards. Do drop us a note and share your experience when you visit Shek Kee. I love your review as noodles is one of my favorite stuff. And I like the image too….it is mouth watering. Good of you to include a map of the locations as well, for those who like to travel and might end up in Hongkong one of these days. The price is also reasonable, if it is in Hongkong $. In general, you have a great site. Thanks Rebecca! We are glad you love our review! Yes, we believe in helping people to find places we recommend. Hence, the map and directions. We are glad you appreciate it. And yes! The price of the noodles is very reasonable. It is in Hong Kong Dollars. So worth it, right? And thank you for your praise of our website. We will keep making it better. Your picture just made me so hungry. I love wontons but never really had the authenic ones where I want to eat it everyday. I have never been to hong kong. My husband and I are planning a trip to China sometime next year. I will definitely have to find this place and give it a try. I love food, great and delicious foods are even better. Thank you for sharing! These wontons are really good, Hong. Your husband and you simply must try them! Do let us know when you have, and share your experience with us when that happens. Come back to our website when you need map and directions on how to get there. That was a great read, and I wish I was in Hong Kong to taste this amazing place and noodles. Lucky for me, I am in London where I can still find restaurants that make them. I don’t know if the quality will be the same, but I will give Wonton Noodles a try. Have you tried the Korean Noodles called Chop Chae? I love it! Hi Stefan! Glad you dropped by. Hong Kong is an amazing place with really great food. We have just started sharing a few. We plan to visit Hong Kong again, and share more interesting places as well as where you can find delicious food. Do let us know how the Wonton Noodles are in London? We have not heard of the Korean Noodles called Chop Chae. Do take a pic and show us? So far, we only know JaJaengMien, Kimchi Noodles, and others. Hey Tim. great article. I am a big fan of Asia as a travel destination. I like authentic foods when traveling to Asian Countries, and noodles are definitely in the top two after fried rice. I’ll take a look on my next trip. Happy to hear you are a big fan of traveling to Asia. Do bookmark us, and refer to our articles for helpful info. And if you are looking for best hotel deals, do click on the banner ads we feature on our site. We love Fried Rice too! Do you know that there is a place in Singapore that sells Fried Rice for SGD25 per plate? That feeds only one, at most two people?? It is considered expensive! But people still buy them. Maybe we should try it and blog about it here? Do let us know when you visit Asia. See you around. If I’m ever in Hong Kong, this will be very helpful! I do have a Swedish friend who travels to Hong Kong with his wife almost every year, so I will definitely pass it along to them! Hi Brian! Thanks! Hope your friend enjoys the Wonton Noodles. If you ever in Hong Kong, and tried Shek Kee, do let us know what you think of it? Those noodles and dumplings look amazing, I have never been to Hong Kong I will have to put it on my Bucket List I can’t go through life not knowing what Shek Kee’s Wonton noodles taste like. Thanks for the great review you really make it easy for visitors to find the best places and know that they will get quality food without breaking the bank. I love prawns so that meal will definitely be my first stop if I go there. Do you know if they have a vegetarian friendly option aswell? Hi Chani! Thanks for dropping by. Glad you like our review, and the detailed information we provide. 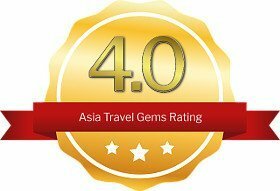 Your feedback helps us know we are on track at helping people find best food in the Best Places To Visit in Asia. 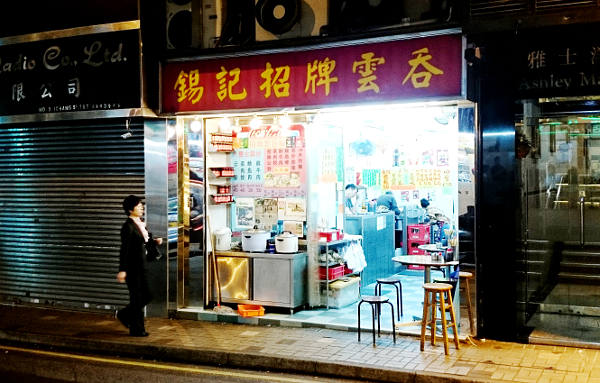 Oh, when you visit Hong Kong, you must try Shek Kee Wonton Noodles. If we remember correctly, there is a fish version but no vegetarian option. Then again, things change quickly. When you are there, take a look at the menu and see if there are any vegetarian choices. Do let us know after you have enjoyed the food, and let us know what you think of it? Sounds like a good meal to try. I did spend some time in Korea and I was really into trying things I never have seen or heard of. I would love to visit Hong Kong and try some of their cultures. Is there a big difference between the two cultures? This is really good, Ronnie. If you are ever in Hong Kong, I highly recommend that you try this. Korea and Hong Kong are two very different cultures. I can’t write it all here. There is a Hong Kong section in Asia Travel Gems where you can read all about this city, including about culture – https://asiatravelgems.com/hong-kong/. In time, I will add a section on Korea. I have never been to Asia but have always wanted to visit Toyko. Hong Kong is up there on my list as well. Is food and water clean enough to consume there without caution? Thanks! Glad you enjoyed this review. And very happy to hear that you will be visiting Hong Kong. In time, I will do posts about Tokyo, too. For now, I have just returned from a vacation in Kuala Lumpur, Ipoh & Penang in Malaysia. I have shared my first post from that trip at this link – https://asiatravelgems.com/malaysia/kuala-lumpur/best-places-to-eat-in-kuala-lumpur/kinjuku-setiawalk-mall-review/. And will be adding more in the coming days. Please subscribe to the Best Places to Visit in Asia newsletter for updates. Wonderful noodle soup. I had the fish ball noodle soup. The bill came to $170hk for the 4 of us. A true local gem which I would not have found myself. Thanks to Tim’s directions we easily found the place. English menu available too. Quick service. Obviously popular with locals as the place had high turnover of people. Hi Phyllis! Glad you found this food review useful and enjoyed the noodle soup. It truly is a local gem. Thanks for this great tip on a local gem. Had the fish ball soup. Obviously home made fish balls. Soup was super tasty. Bill was also surprisingly low- all that Asian tourists love when travelling- good food at good price! Obviously a favourite with the locals too. Your directions were very helpful as we would not have found it otherwise. Thanks again for the additional info, Phyllis. Yes, totally agree it is really super tasty! And the price is so affordable! And yes, forgot to mention in the article that the food here is home made. Not like the other food places where the food is mass manufactured in a factory.